Facebook is one of the best social media platforms out there and it is a great marketing tools. It lets you find new customers and maintain the existing ones through interaction. It is also a great way of promoting your new products. The first thing to do when you want to use Facebook as a marketing tool is to create a Facebook Fan Page of your product or business. After you are done with that, the second thing to do is to somehow bring fans there. The big question is ‘how to do that’? Well the answer is here in this article, as here we list some effective ways to get Facebook Fan page fans. Check them out! 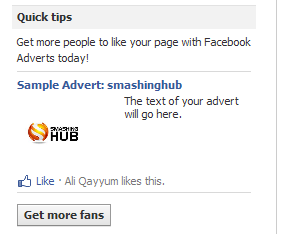 Embedding a Facebook fan box on your website/blog is definitely the first thing to do. This will increase the number of fans. It is an app of Facebook and you can get its code from your Facebook account, and then all you have to do is to insert it in your Website/Blog. You also have the ability of optimizing and designing it so that it increases the chance of your Blog/Website’s visitor becoming a Fan of your Facebook Page. Using Facebook ads is a good way to get more fans as it only targets the people who are interested in your product/services. There is a great chance that the person who views your ad will also become a fan. You can advertise on Facebook by going through the Facebook ‘Advertising Wizard’ that you can reach by clicking on ‘Advertising’. Always try to make an ad which is eye catching and which will capture the attention of the viewers. This is one of the most effective and easy way of increasing the number of fans on Facebook page. Always include a clickable link at the end of your post, requesting the readers to become a Fan of your Blog/Website on Facebook. If you want you can also try doing like exchanging. Simply search Facebook Fan Pages in your niche which have a lot of fans and then contact their admins telling them that you will post a like of theirs on your Facebook Page and whether they would be willing to do the same for you. If you will like their page it will automatically appear on the left panel of your Facebook Fan page, in the ‘LIKES’ section. 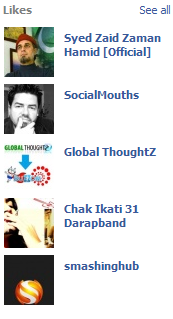 If they also like your Facebook Fan Page then yours would appear on those pages too. There may be some Fan Pages whose admins may not agree for a link exchange. So you can offer them money if you want and pay them through PayPal, or Western Union. 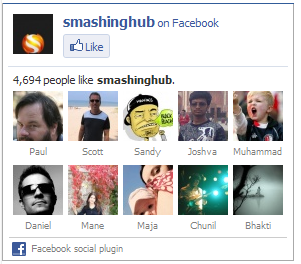 After you have done that you can like other pages and can comment on their photos, links, statuses and videos. Make sure that those fan pages are in your niche but have a large number of Fans. Comment and communicate with the fans of that Facebook Page and always be sweet and friendly as this will bring them to your Facebook Page. This method is similar to getting traffic by commenting on other blogs. If you have a large following on Twitter, then connecting your Facebook fan page to Twitter is also a great way of converting your Twitter followers into your Facebook Fans. You can do this by using any of the many applications on Facebook that let you do it. After doing this your latest status updates, photos, links, notes or events on Facebook page will be tweeted out by your Twitter profile automatically to let your followers know what is going on, on your Facebook page. You can also put a link in your ‘About Me’ on Twitter as this might also make some new fans of your Facebook page. You can also create a background image for your Twitter profile, and then write something on the background image with a link to your Facebook page. You can put a link to your Facebook page on your own Personal Facebook profile, so that any friends of yours that are interested in the niche of your Facebook page can like it. You can put that link in the About Me section with a little description about it. And make sure to add http:// to your Facebook Page’s link, because the www’s are not clickable on Facebook! We have dicussed many methods of bringing traffic to your Facebook Fan page, but are you sure that people would actually click on the ‘LIKE’ button on the top of your Facebook Fan Page? To increase the chances of people liking your page, simply create a welcoming and compelling Welcome tab for your Facebook fan page. This Welcome tab can be a video of you, telling people about your Facebook page, about the contests you run etc in order to make visitors your Facebook page fans. Try this site http://www.exchangefollower more than facebook like but you can use it to increase twitter followers, +1 in google plus, youtube views and traffic exchange too. I have used it and got bonus 50 coins just for signup. Not bad. Very interesting tips, since I’m new in the business I’m sure that your tips will help me. Thanks a lot for sharing them. For new websites good advice is to buy fans for start. If more fans you have then bigger is your fanpage reputation and people are more willing to like your fanpage. Very easy and effective ways. Loved them. there are so many groups and communities that allow you to like business pages and in retrn your fan page would be liked by so many peoples. good write by the way…..
A very useful resource! In the current scenario, its not enough to simply have web/online presence but should be popular by strategic marketing techniques too. Social media optimization is a good technique for that. And Facebook is a rage among social networking audience. (1) The fans won’t be homogeneous geographically. (2) There is no guarantee that some of the fans don’t unlike after.